A fiery race-bred MINI is about to hit UK streets and it comes with plenty of track focused promise. 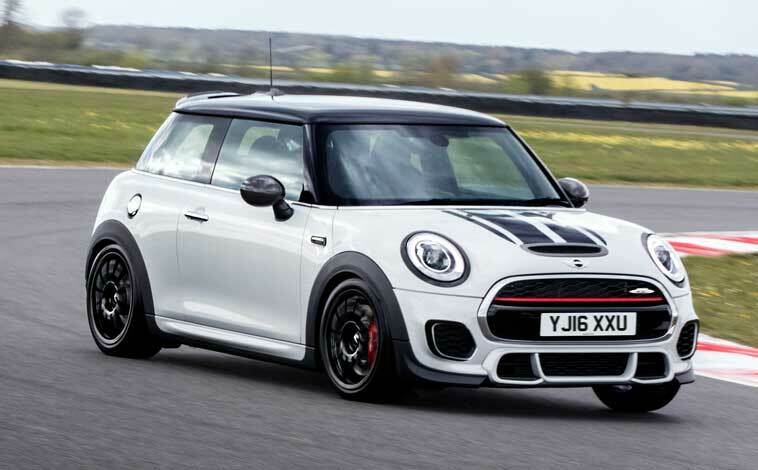 It’s called the MINI John Cooper Works Challenge and is based on the fiery MINI JCW Hatch variant but adds some upgrades to make it even more track orientated. The Challenge tag refers to the racing series that has been running since 2002 and with that in mind the designers and engineers worked with the racing car’s key suppliers to ensure the newcomer ‘delivers bespoke track performance to levels never before seen in the small hot hatch class’. Limited to a maximum of 100 cars, it features a unique colour combination and graphics, genuine MINI JCW Pro Accessories, and is available in just one fixed specification with a price-tag of £32,000. The special edition model uses the latest MINI John Cooper Works Hatch as its basis – itself the most potent MINI ever produced – and is powered by a 2.0-litre twin turbo engine developing 231bhp. It has a six-speed manual transmission, can soar from 0-62mph in just 6.3-seconds, maxes out at 153mph, yet can return 42.2mpg on a combined run with carbon emissions of 155g/km. Bespoke styling includes enlarged air intakes at the front for increased cooling, contoured wheel arch extensions and a rear spoiler, while the cabin features John Cooper Works sports seats and a sports steering wheel. The special edition comes with recommended settings for both road and track driving, the damper units offering adjustment through numerous ‘clicks’, though owners can choose to experiment with their own settings to tune the car to their own tastes. And it also comes fitted with 17-inch Michelin Pilot Sport Cup 2 tyres, original equipment for a host of high-performance cars, plus grooved and part-drilled 330mm front disc brakes with four-pot Brembo-developed calipers. Every Challenge model is painted in White Silver and is readily identifiable by a bespoke graphics package, black roof and mirror caps, plus stand-out black alloys.